There are many connections across the Adriatic Sea and a few ferry companies operate between the Italian ports of Brindisi and Ancona and the port of Patras. If you have your own car take the road to Korinthos and then on to Athens (220 km). Be extremely careful as this poor excuse for a national road is very dangerous and accidents happen very often. If you're travelling without a car take the intercity bus (KTEL) to Athens central station which costs €18.90. If you arrive in Piraeus on a boat, chances are that you'll disembark within walking distance of the metro terminal. If you are too far (such as the cruise liner dock) or your luggage is too heavy there is a free bus service that runs inside the harbour. Try to avoid taxis in the port: it you do need one, then pick one up from off the street outside the harbour area. Most international trains do not make it to Athens. There are daily international trains from Sofia, Bucharest, Istanbul and Belgrade to Thessaloniki, where you have to change on to the intercity train to the capital. This takes 4-5 hours and is very comfortable, reliable and services are frequent. 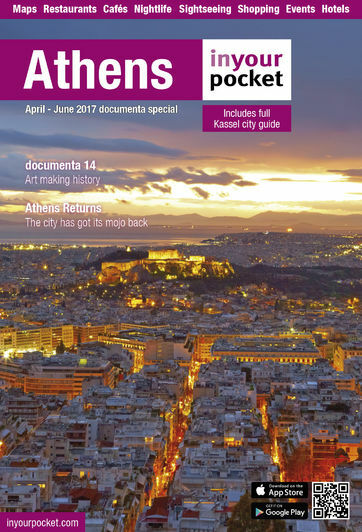 The primary entry point into Athens is its airport, situated 27 km (16.8 miles) east of Athens. To get to town you have a choice between metro, suburban railway, bus, taxi and hiring your own car. The metro is probably the best option, as services are frequent, run until late at night and the journey into the city centre takes around 40 minutes. The Proastiakos suburban railway (running every 30 minutes) will take you to Nerantziotissa station, where you must change to enter the metro system. Tickets cost €8 for a single ride (€14 for two and €20 for three persons travelling together). A bus ticket costs €5 and will take you to the following destinations: Bus X92 to Kifisia, Bus X93 to the central intercity bus station, Bus X94 to Ethniki Amyna metro station, Bus X95 to Syntagma Sq, Bus X96 to Piraeus & the harbour and Bus X97 to Dafni metro station. All the above (except Bus X94) run 24hrs. Indicatively, it takes about 45 minutes to get to Syntagma Sq by bus, but that of course depends on the traffic and time of day. Finally, all major car rental companies keep desks inside the airport building. An array of shops and services is available at the airport such as a post office, banks, newsstands, cafés, even an airport museum.